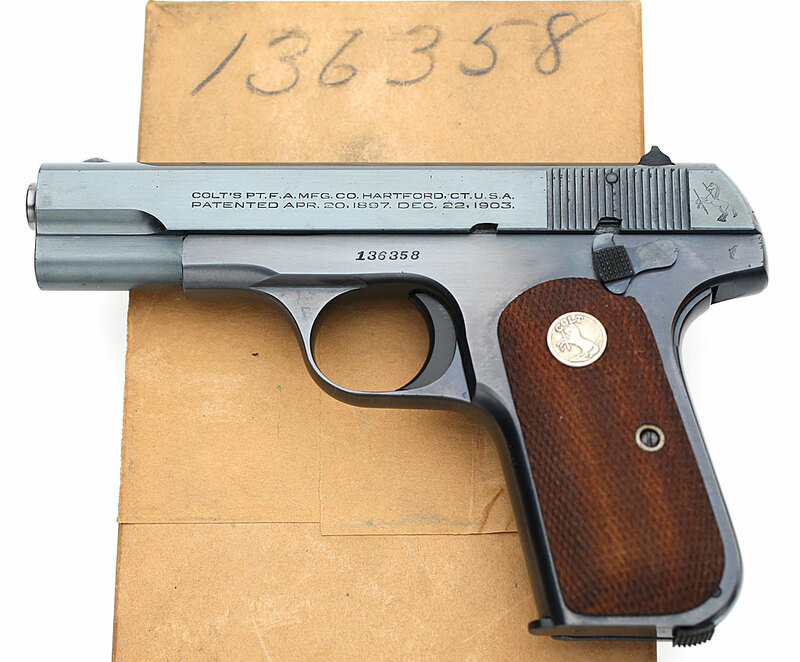 Colt Model 1908 Pocket Hammerless .380 ACP serial number 136358 issued to Brigadier General Donald J. Armstrong (ca. 1944). 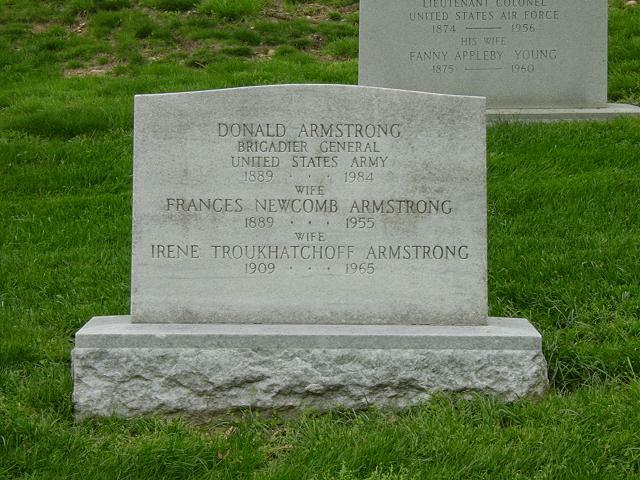 Brigadier General Donald J. Armstrong (1889-1984) - (ASN: 0-2967) Born in Stapleton, New York on April 15, 1889. He began his military career as an Army Coast Defense Artillery lieutenant after completing his bachelors from Columbia in 1908 and masters degree also at Columbia University in 1910. During World War I, he served as an artillery officer in the American Expeditionary Forces, taking part in Champagne and Meuse-Argonne offensives. Then he was assigned as an assistant military attaché in the American Embassy in Paris from 1919 to 1924. He transferred to the Ordnance Department in 1923 and was assigned first to the research laboratory at Watertown Arsenal, then as a War Department planner, a member of the Field Artillery Board, and as Chief of the Maintenance Division in the Office of the Chief of Ordnance. Graduated from the Army Industrial College in 1927. These demanding assignments provided a thorough grounding in research, development, industrial operations, and maintenance that would serve him well in the key positions he held during World War II. From 1939 to 1942, he served as Executive Officer and then Chief of the Chicago Ordnance District, coordinating industrial mobilization and wartime production in a region covering all or part of eight Midwestern states. While he was assigned to the Chicago District, it awarded $2.7 billion dollars in Ordnance Department contracts. Next, he took command of the newly established Tank-Automotive Center in Detroit, which would later become the Tank-Automotive Command. The new center had broad responsibilities for procuring the Army's tanks and automotive equipment. In December 1942, he moved on to a new challenge--command of the Ordnance Replacement Training Center (ORTC) at Aberdeen Proving Ground, which trained all of the Ordnance Department's individual replacements. Armstrong reorganized the still-expanding center to into three training regiments that provided sequential basic and advanced training to as many as 14,000 soldiers at a time and graduated up to three companies of replacements each week. He also established a Field Training Battalion that conducted a three-week field training exercise for all of the trainees at Camp Pickett, VA. 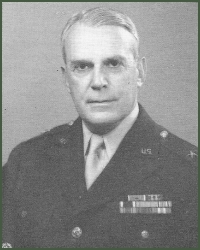 In August 1944, BG Armstrong was appointed Commandant of the Army Industrial College. Much to his credit, he was instrumental in converting it to a joint-services institution, the Industrial College of the Armed Forces (ICAF). During his tenure, 1,600 Naval officers became part of the student body and graduated from ICAF. BG Armstrong retired in 1946 after 35 years of distinguished military service and 23 years as an Ordnance officer. 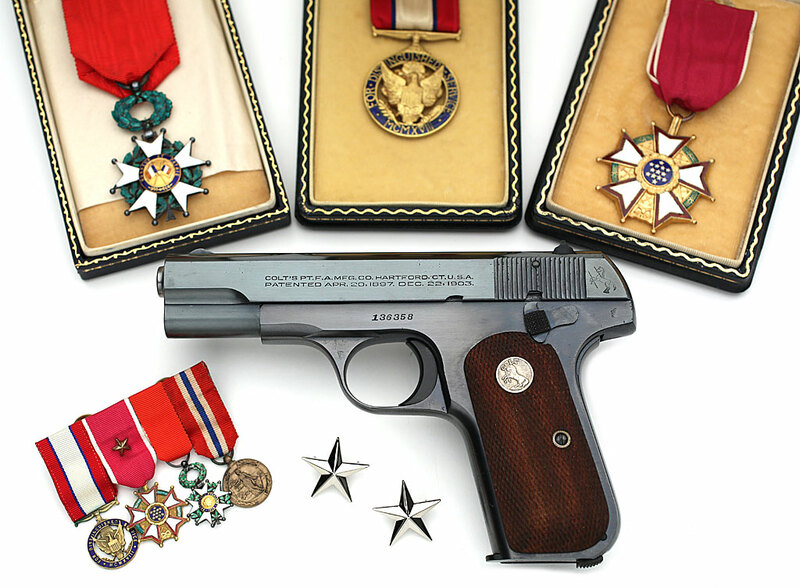 Decorations included the Distinguished Service Medal and Legion of Merit. After retiring from the military, Armstrong was president of the United States Pipe and Foundry Company from 1947 to 1951. In 1966, he published The Reluctant Warriors, a book on the Third Punic War. He died in January 11, 1984 and is buried in Arlington Cemetery. 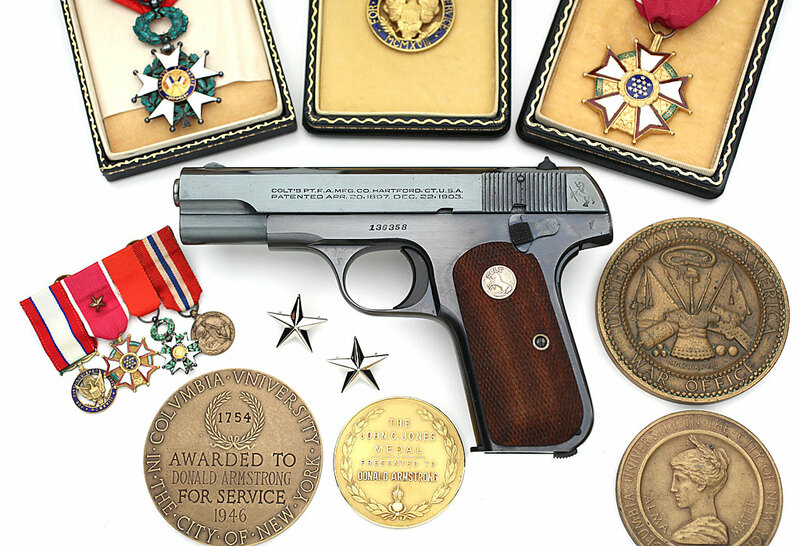 He was inducted in the U.S. Army Ordnance Corps Hall of Fame in 2002. 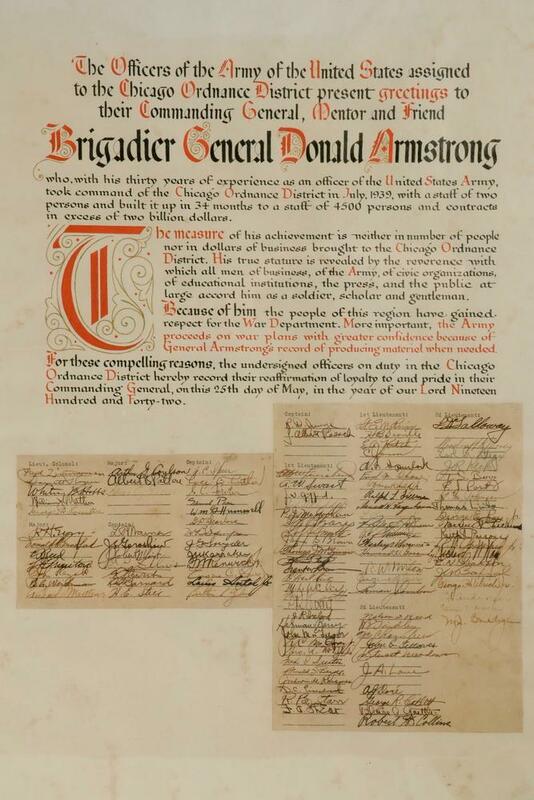 Citation: The President of the United States of America, authorized by Act of Congress July 9, 1918, takes pleasure in presenting the Army Distinguished Service Medal to Brigadier General Donald Armstrong (ASN: 0-2967), United States Army, for exceptionally meritorious and distinguished services to the Government of the United States, in a duty of great responsibility during the period from February 1945 to July 1946. The singularly distinctive accomplishments of General Armstrong reflect the highest credit upon himself and the United States Army. Citation: The President of the United States of America takes pleasure in presenting the Legion of Merit (Navy Award) to Brigadier General Donald Armstrong (ASN: 0-2967), United States Army, for exceptionally meritorious conduct in the performance of outstanding services to the Government of the United States. As Commandant of the Army Industrial College from 1 September 1944 to 20 February 1945, during which time over 1,600 Navy officers and civilians were trained under his command in contract settlement work. The excellence of instruction offered resulted in the Navy using the School as its major instructional institution for all the Navy's contract termination personnel. His administration was marked by complete cooperation with the Navy Department and was noteworthy for the high standard of instruction provided by the School under his command. The meritorious performance of duty was a real contribution to the readjustment problems not only of the Navy but of the Nation. 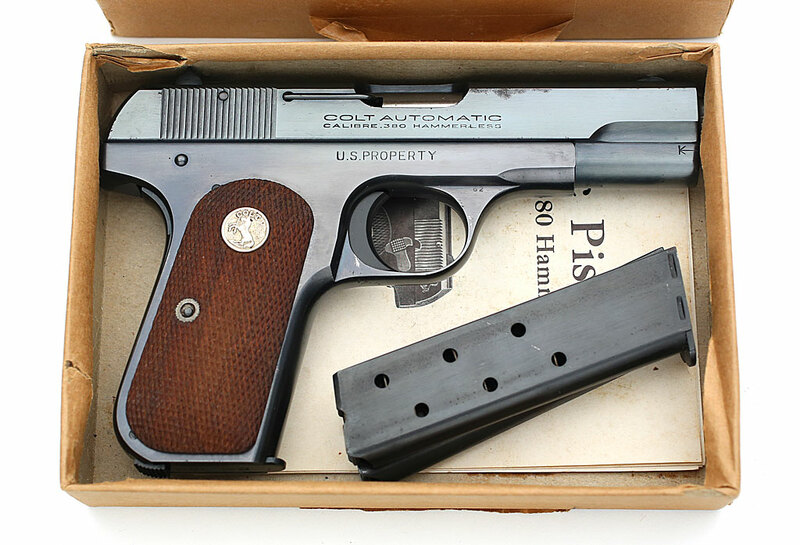 Colt Model 1908 Pocket Hammerless .380 ACP serial number 136358 issued to Brigadier General Donald J. Armstrong - Accompanying General Armstrong's pistol is the original box (numbered to the gun) spare magazines and instruction sheet. Both original issue magazines show almost no wear. 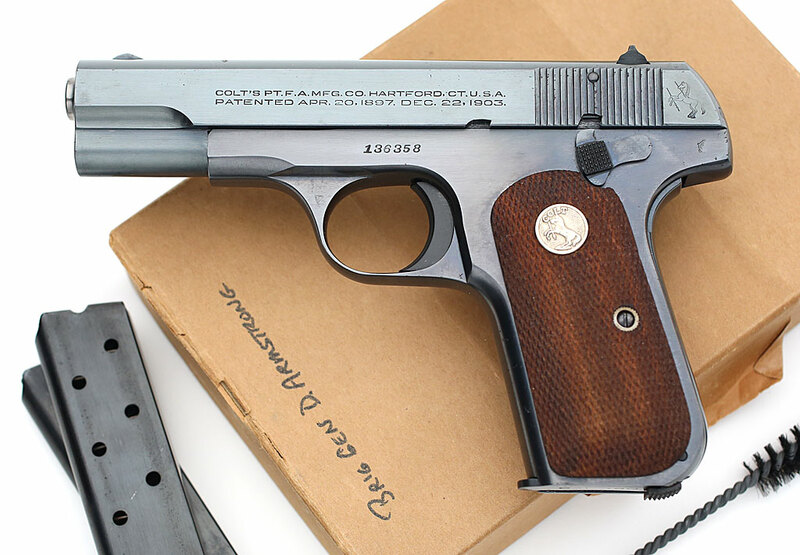 There is no "M" recorded next to the serial number, nor on the magazines. 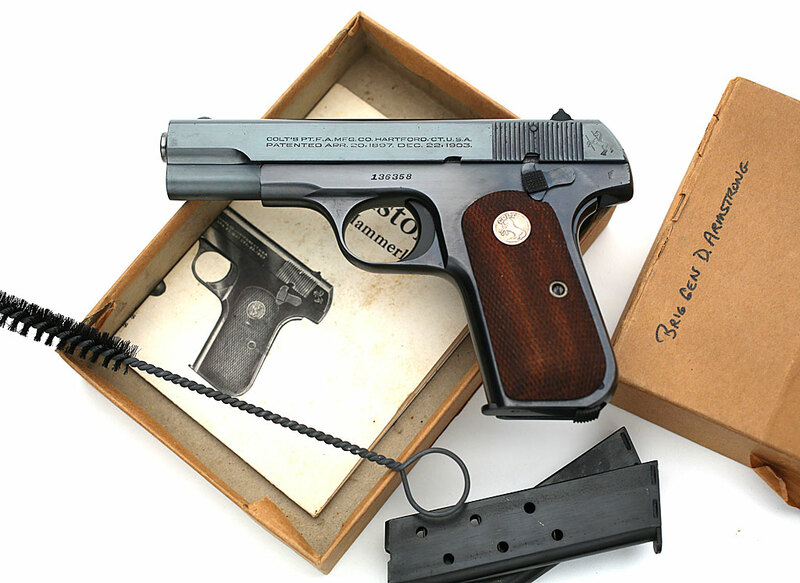 Colt Model 1908 Pocket Hammerless .380 ACP serial number 136358 issued to Brigadier General Donald J. Armstrong - in original factory kraft box numbered to the gun with two full blued spare magazines and instruction sheet. "To Brigadier General Donald Armstrong with congratulations on his many accomplishments in a long and distinguished military career and with warm regards of his friend, Dwight D. Eisenhower"
Gen. Donald Armstrong, a retired business executive and career Army officer who served during both world wars, died Wednesday at a nursing home in West Palm Beach, Fla. He was 94 years old and had lived in Palm Beach for several years. General Armstrong had a lifelong interest in military history and classical literature. He was the author of ''The Reluctant Warriors,'' published in 1966, about the last of the three Punic Wars. Embassy in Paris in 1919. 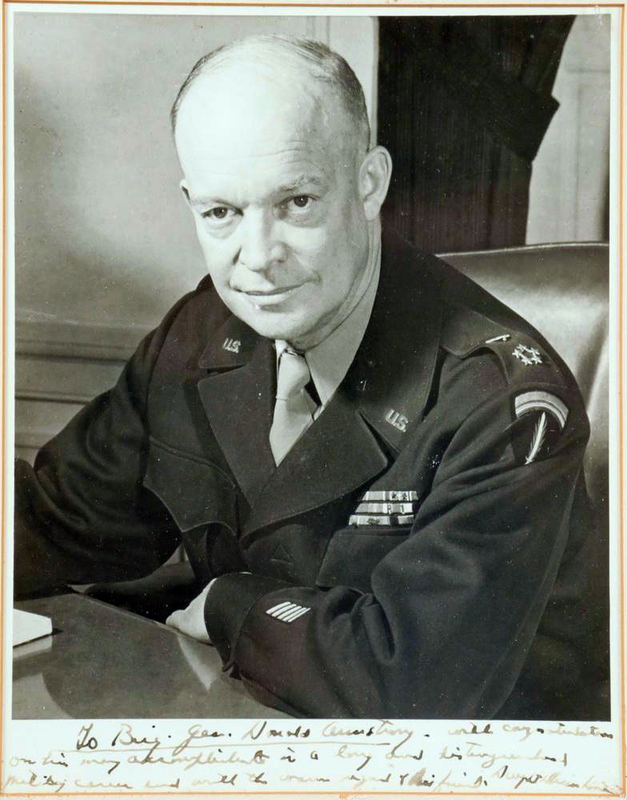 He was promoted to brigadier general in 1942, and served as commander of the Industrial College of Armed Forces in 1945 and 1946, when he retired from active duty. Between 1947 and 1951, he was president of the United States Pipe and Foundry Company.